A simple wooden chair for solo sitting. The Wooden Chair is a decorative item that can be placed on any foundation. 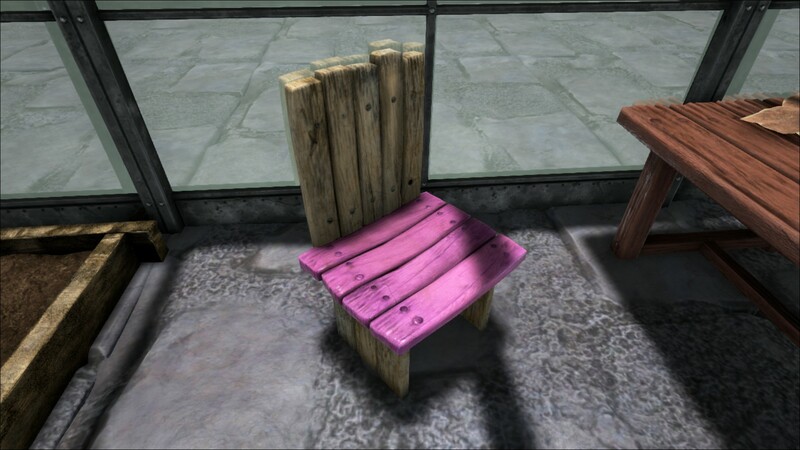 The player can sit down on a chair. While sitting in a chair a player does not lose any food. Unlike most other structures, which you only can destroy once placed, the Wooden Chair can be picked up. The Wooden Chair is treated as a wooden structure and can not be damaged by hands, stone weapons, or non-explosive ranged attacks. This page was last edited on 26 March 2019, at 21:23.